download and have fun, the track is not allowed to be inserted into any TrackPack without the prior permission of the Author Silvano Silva. Some introduced elements such as screens are fictional. I completed a new version of the Misano World Circuit track. The layout has been tuned to perfectly match size and direction of real life track. Disclaimer: use of this track is allowed for personal use and for community racing provided that no one will ask money in any form (sale of driving licenses, championship fees etc are not allowed. Non-mandatory donations to organizing server are allowed). This track is given away for free and must remain free. il team Radiator Springs Racing Team presenta il nuovo tracciato di Monza! Questo bellissimo tracciato GTR2 e stato convertito e perfezionato dal nostro team. Giovanni Culmone ha lavorato su nuove, bellissime textures. Grazie ad Albert McSaltens, Fulvio "Gek" Genova and Andrea Lojelo per il loro lavoro sul 3d il tracciato. Grazie a Mario Gilles per il pacchetto. La versione attuale presenta alcuni bug, che saranno risolti quanto prima. Abbiamo preferito rilasciare il tracciato prima possibile per consentire a tutti di prepararsi per la prossima gara di campionato. The first Australian track to appear in netKar PRO. Silverstone is built on the site of a World War II bomber base, RAF Silverstone, which opened in 1943. The airfield's three runways, in classic WWII triangle format, lie within the outline of the track. Silverstone guarantees fast-paced and close racing in the Formula Ford cars, the Formula Renault 2.0 and the F3. Slipstreaming, outbraking, wheel-to-wheel racing - Silverstone is the track for it. Situated in the small town of Castle Donington, Leicestershire, in the north of England, the Donington Park track opened in 1931. The original track was 2 mile 327 yd (3518 m) in length, and based on normal width unsealed estate roads. In 1933 permission was obtained to build a permanent track, with the original layout widened and sealed at a cost of £12,000.The first car race was held on the 25th March, followed by three car meetings further that year. The first Donington Park Trophy race was held on 7 October, 1933.
del circuiti (create da Andrea Lojelo) ed un'altra piu' ravvicinata (creata da Albert McSaltens). Per cambiare tra i due file delle telecamere basta usare il programma RSRCameraSwitcher.exe (creato da Fulvio "Gek" Genova) che si trova nella cartella tracks\mugello. Questa e' la prima release pubblica del circuito del Mugello, creato da zero dal team Radiator Springs Racing. stati segnalati, ma che avrebbero rinviato di troppo il rilascio. con il team Radiator Springs Racing, per analizzare e ottimizzare il tracciato. Conversioni o modifiche di questo tracciato per qualsiasi altro simulatore NON sono consentite. Tutte le texture create da Culmone non possono essere utilizzate per altri progetti. Questo tracciato e' stato creato per passione ed ad uso esclusivamente ludico, senza fini di lucro. E' vietato l'utilizzo di questo tracciato per per scopi di lucro e affini. 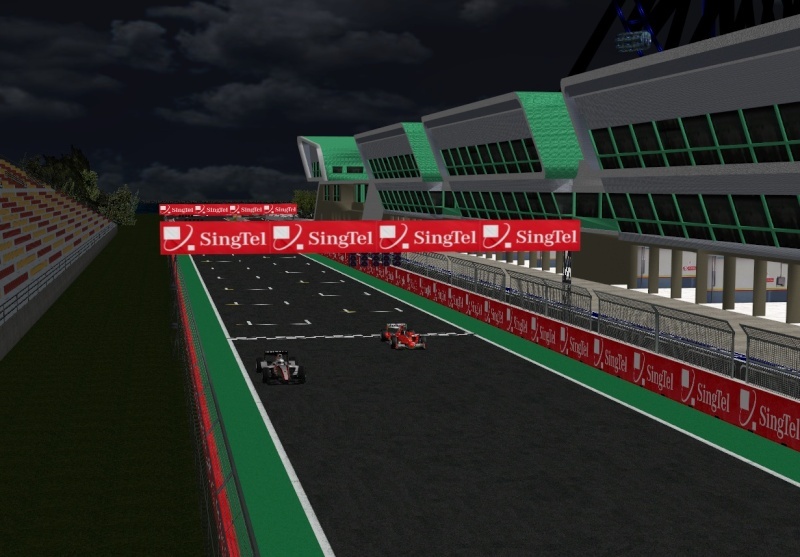 After the arrival of Silverstone, Monaco and Montreal, the fourth add-on track for the netKar PRO simulation is released. This time, again a completelely different track. I am proud to announce the release of Spa-Francorchamps for netKar PRO! Spa-Francorchamps has always been a special track for racefans all over the world. Its history, its thrilling corners (who doesn't know the breathtakingly steep and dangerous Eau Rouge?) and its great atmosphere contribute to that. Now this track comes to your netKar PRO simulation. - Re-numbered pit sectors to avoid timing problems. - Adjusted overall lighting, objects now no longer appear fluorescent when set to rainy. Presenting Interlagos 1979 the second historic track. Special thanks to Kenneth Hodson AKA MotorFx for giving permission. Thanks to Roberto Olivetti for the camera file all the guys at Iron and RSR for their input and support.Thanks again to Stefano for hosting the test servers Lastly thanks go to Mauro Lazzari for all the fun we've had testing this track. Thanks to the LFS devs for allowing this conversion. Ci sono due configurazioni, il Grand Prix & Car Park. Il layout Car Park è il circuito ditroppo pieno, ma con un buco nel muro dopo la chicane. There are two configurations, Grand Prix & Car Park. The Car Park layout's the full circuit too, but with a hole in the wall after the chicane. Prendere il sentiero che attraversa la schiena buco nel terreno (per non cadereattraverso di essa lo prometto!) per l'accesso al parcheggio. Take the path back crossing the hole in the ground (you won't fall through it I promise!) for access to the car park. Per quanto riguarda il layout di rally cross, non ha funzionato in nKPro ... è ancora il nome ma se si desidera aggiungere manualmente il config '. As for the rally cross layout, it didn't really work in nKPro… it's still named though if you want to manually add the config'. Grazie a McSaltens & TomasT per l'aiuto e tutti i beta tester troppo. Thanks to McSaltens & TomasT for their help and all the beta testers too.